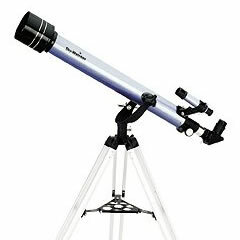 The highly affordable Sky-Watcher MERCURY series of refractor telescopes allow you to take your first steps into the fascinating world of astronomy. They are supplied with good levels of equipment for both astronomical and terrestrial observations. 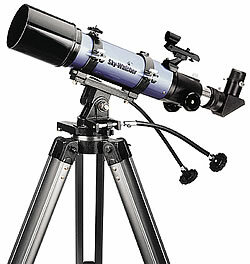 Although similar externally to many other telescopes on the market, these telescopes are supplied with superior 1.25" eyepieces and accessories (not 0.96" or hybrid 1.25") and moreover, the eyepieces have been specially selected to give a much more useful and practical range of magnifications, to increase your viewing experience. 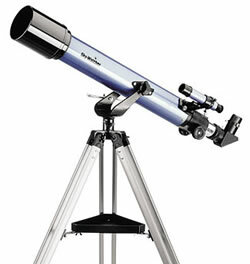 The Sky-Watcher CAPRICORN model is an excellent choice for the more serious novice astronomer.  x2 Barlow Lens 1.25"
 45º Erect Image Diagonal 1.25"